Google Aquarium Cleaning Service and you will see a list of companies in your local area. The goal is simple. You want to choose a company that gives you the cleanest, healthiest aquarium for your money. But with all those choices, how do you know who will provide it? 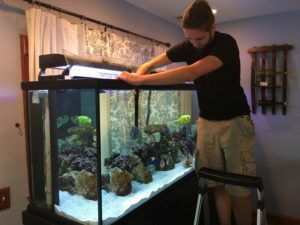 You want to know the going rate for aquarium service in your city or state. Choose a company that’s priced somewhere in the middle. Amateur companies will often advertise at a low rate, but fail to deliver the quality and bells and whistles that more established companies bring to the table. Other companies overcharge for seemingly no reason at all. Know beforehand if the price quoted includes supplies such as filter material, salt water, swapping plants and adding chemicals. Make sure you choose an aquarium cleaning company that is going to be there quickly when things go wrong. If you come home to find your beloved fish gasping for air at the top of the aquarium, you’re going to need someone there as quickly as possible. Choose a company that can promise you quick service in case of emergency. We get new clients all the time who have spent countless amounts of money on years of horrible service. After seeing our work, they can’t believe the difference in quality. Don’t spend money and time unknowingly receiving poor service. Make sure you receive a list of references and call as many as you can. 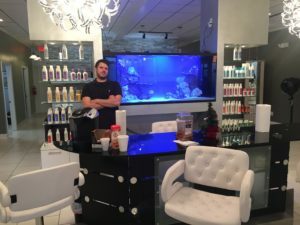 Choosing the right aquarium cleaning service can be a daunting task, but if you use the tips provided above, you should be able to find a perfect mix of affordability, reliability, and quality.